From the development of the first insulated render systems designed specifically to meet the challenges presented by UK climatic and geographical conditions, PermaRock has constantly striven to develop innovative building products that set quality benchmarks, extend building design possibilities and meet the needs of ever changing aesthetic requirements and shifting social and commercial demands. 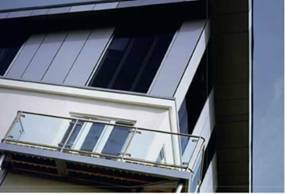 Add into this the benefits of environmental enhancements that PermaRock offers and it is clear to see why PermaRock is at the forefront of building facade innovation, bringing energy efficient, attractive buildings into our living and working environment. Consideration has been given to conventional construction methods, such as cavity wall and single skin masonry as well as to timber and lightweight metal frame, either as infill panels to concrete or steel framed constructions, or as structural building systems. Moreover, PermaRock has developed systems that meet the fast track technical requirements of SIPS – Structural Insulated Panel Systems – and which can achieve ultra-low U-values, providing the next generation of high thermal performance, low energy buildings. PermaRock’s unique partnership with Caparol, Europe’s leading designer of high performance architectural facades systems, high performance exterior coatings and interior finishes enables them to deliver the very latest in European advances in insulation, render and coatings technology. This means you can expect outstanding performance against any and every benchmark. PermaRock External Wall Insulation and Render Systems are complemented by an extensive range of decorative options including acrylic and silicone textured render coatings, brick and stone finishes, decoline tiles, traditional spar dash aggregate as well as architectural profiles and waterproof coatings. 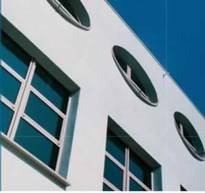 The extensive range of decorative renders, coatings, finishes and effects available from PermaRock provides the designer with freedom to create expressive facades and interesting architectural designs. PermaRock Exterior Render Systems and PermaRock External Wall Insulation Systems can be finished plainly or with texture, in bright bold colours or neutral or earth shades with decorative tiles, brick or stone effects. Three dimensional texture can be introduced in the form of architectural profiles, allowing the creation of stylish detailing, mouldings, cornices and the like. Simulated blockwork, ashlar, relief banding or sweeping curves can be introduced to add further expression. Care is taken to develop products that achieve traditional appearance such as brick, stonework or rustication as well as fulfilling the needs of contemporary architecture.